A homologous structure is a similar structure that can be found in very different animals, often pointing towards a common ancestor. 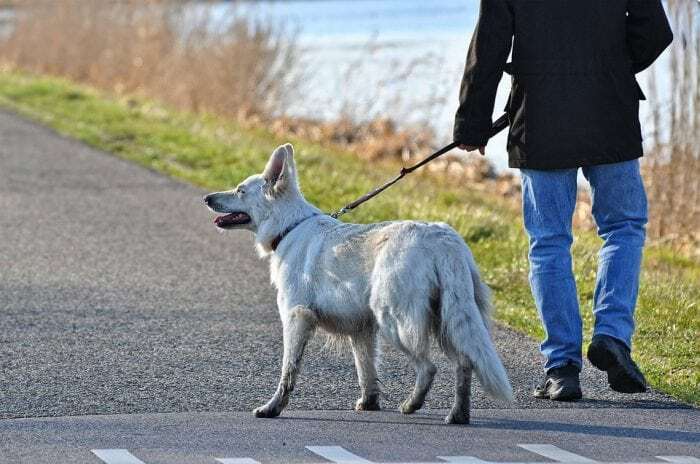 When animals look very different on the outside yet have certain structures that appear similar in form or function, they have homologous structures. 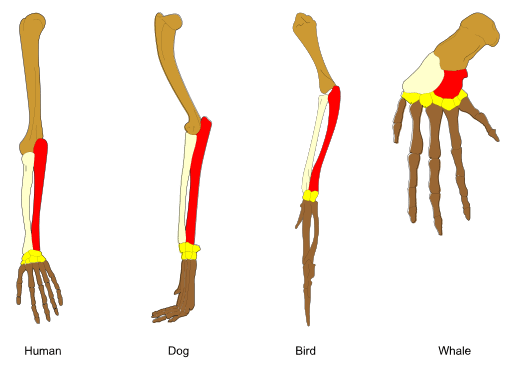 To understand why homologous structures play an important role in the study of evolution, let’s take a closer look at some different types of evolution and some examples of homologous structures. Biologists have long used anatomical comparisons of animals to determine where on the evolutionary tree of life they are, to help them determine which animals may have shared an evolutionary history. When biologists study evolution, they often distinguish between two different forms of evolution: convergent evolution and divergent evolution. Divergent evolution is where an evolutionary lineage splits apart over the course of time, giving rise to many diverse species from a few closely related species. Divergent evolution often occurs when a species migrates to a new environment or environmental changes occur in the area a species lives in. Species which migrate to a new environment often fill in ecological niches in the new area rather quickly, so divergent evolution can quickly give rise to many different species. A notable example of divergent evolution are the fish known as Characidae. Characidae are fish which evolved from a single common evolutionary lineage yet no constitute many different species like piranhas and tetras. The jaws and teeth of the Characidae evolved to adapt to food supplies within the new environment of the fish. Divergent evolution is also sometimes referred to as adaptive radiation, as the evolutionary trajectory seems to radiate outwards into different species. In contrast to divergent evolution, convergent evolution is a phenomenon where different species tend to become more similar over time. One of the reasons for convergent evolution is that species who live in similar environments frequently experience similar evolutionary pressures, and therefore adapt with similar changes to fill similar niches. One notable example of convergent evolution is the similarity that exists between North American hummingbirds and Asian fork-tailed sunbirds. The two species of birds come from completely different evolutionary lineages, yet they look extremely similar to one another. In the study of evolutionary biology, homology refers to the existence of shared ancestry between a pair of structures or genes in a different classification unit or taxa. The term homologous structures refers specifically to similar structures found in different species that have a common ancestry or developmental origin. Note that homologous structures don’t have to perform the same function in a species, the only requirement is that they are similar in form and exist in species with common ancestry. As an example, while bats and humans have similar forelimbs, they are used very differently in the two species. Despite this, the skeletal structure of the forelimb is basically the same and both species have the same embryonic origin which could imply a common ancestor. Cladistics is a specific approach to the biological classification of organisms, involving the grouping of organisms into clades based on their most recent common ancestor. Within cladistics, there are various types of homology. Primary homology refers to the initial hypothesis a researcher makes based upon anatomical connections – homologous structures. Secondary homology is used in parsimony analysis, where an organism’s character state is considered to be homologous if it arises only once on a specific tree. Developmental biology can be useful in identifying homologous structures created from the same tissue during the process of embryogenesis, the process that creates the embryo that develops into an animal. As an example, while adult snakes do not possess legs, during their embryonic stage they have limb-buds of the sort that often become hind legs in other animals. The implies that the ancestors of snakes had legs, a theory which is confirmed by fossil evidence. DNA sequencing can also assist in the identification of homologous structures. Similarities between DNA sequences and proteins can be used to find common ancestries. Two particular segments of DNA may have shared an ancestry if their DNA points to either a speciation event or a duplication event. If DNA sequencing shows that two species are closely related to one another and they have similar skeletal structures as well, it provides more evidence for the claims that the structures are homologous in nature. Unlike analogous structures which may not necessarily represent similar evolutionary paths, homologous structures represent similar evolutionary paths as a prerequisite of the fact that two species with homologous structures share a common ancestry. So while analogous structures may have evolved in different circumstances, homologous structures are likely the product of the same evolutionary pressures on the same lineage. Many mammals have tails, which are one of the best examples of homologous structures. The tails of rats, cats, monkeys and many other mammals are extensions of the torso, being made out of vertebrae capable of flexing. Tails are used for balance in many animals, and to ward off insects. While humans don’t have tails, we do have a tailbone. The tailbone is called the coccyx, and it is created out of “rudimentary vertebrae”, and may have once been a fully formed tail. This is an example of a homologous structure and evidence of our common ancestry with other mammals. 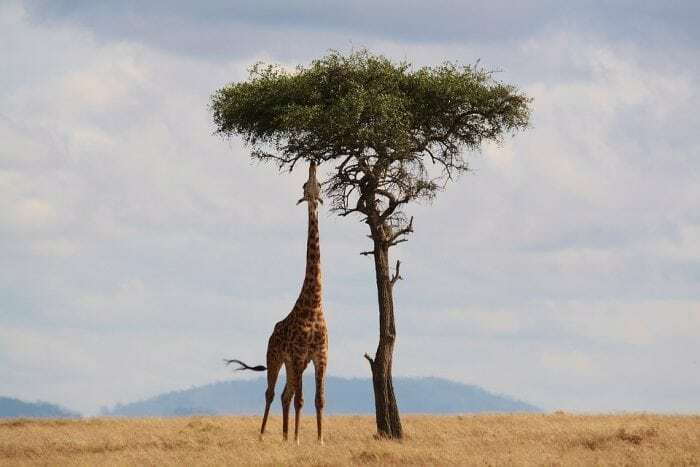 The long necks of giraffes are also examples of homologous structures. Giraffes necks have seven cervical vertebrae, and together they are approximately eight feet in length and weigh over 600 pounds. Humans have cervical vertebrae as well, though they are obviously much smaller and shorter than the cervical vertebrae found in giraffes. Yet the bones in the human neck and giraffe neck are still seven cervical vertebrae. Once more this is evidence that giraffes and humans share a common ancestor. Previous Post« Previous What Is Negative Reinforcement?